There's a topic that's on my heart that I've never written about before because I'm insecure, I'm afraid, I want to pretend it's not true I just haven't gotten around to it. If you met me in real life, you'd see that on the outside, I have a bubbly personality. I smile, laugh and I try to be funny. And sometimes this is the real me. But the truth is I struggle, and I mean really struggle, with depression. It comes in waves. It started almost as far back as I can remember. I never really understood what it was until high school. I was a cheerleader, I had friends, I had a boyfriend, I did well in school. But I was never happy. There was always something eating away at me but I never could quite put my finger on it. I was sad. I had no ambition. I felt desperate. I would put on my daily mask, stand in front of the proverbial, and sometimes literal, crowd, with a smile on my face and a cheer on my lips. I felt like I was living a lie. I've tried to fight it in every way I can think of. I've tried therapy but could never really open myself up to the doctors. I've tried anti-depressants but they left me feeling completely numb and contemplating the value of my life. I've tried self medicating through relationships, alcohol and all sorts of other ways I'm not proud of. I medically withdrew from college for a few semesters in the hopes of just waiting this thing out. I've tried just stuffing it deep deep down and pretending it doesn't exist. But none of these methods worked for me. It was still a cycle. Year by year the days would get darker until it took all I had to just get out of bed. It took a lot of pain, a lot of heartache, and a lot of years to realize the only way I could get through the hard times was to lean on someone who just got me. Nowadays, that person is my husband. I lean on him because I just can't do it on my own. I need to ride the wave with someone else, who even if he doesn't completely understand, tries to. He lays down on the floor next to me when I feel like I can't get up. He holds me when I cry. He reminds me to hold on to my friendships and to prepare myself preemptively for when the depression hits. He makes sure I talk to someone when I need to. He always reminds me that I can try medication again if I want. He focuses my eyes and heart on God. He does this because he loves me. And because it's not just me I need to get up out of bed for anymore. Isn't she the best? My daughter needs a mother who is healthy. Plain and simple. I can't stew in my depression. When I feel it coming on I prepare myself. I make sure to make plans with friends. I take my daughter on long walks in the sunshine. I turn off the songs that make me feel like I'm starting to slip. I push thoughts of sadness out of my head instead of dwelling on them. I pray.. a lot. There is an old saying that I love and every time I think about my depression I think about this. The saying goes "You can't stop a bird from flying over your head, but you can keep it from making a nest in your hair". For me, I realize that if I don't want the numbness that medicine brings then I can't help these feelings from coming. I can't stop a thought from passing through my mind. But I can stop myself from dwelling on it, from spending all my time thinking about it, and from feeding in to it. So that's where I'm at today. Just now, after 27 years, able to share what's on my heart. Doing everything I can to make sure my daughter's world is full of happiness. And holding out hope for the future. this only makes me like you more. we all struggle with bits and pieces of this some more than others- but its a very real thing, great to talk about! I totally know what you mean about it coming in waves. Some days are better than others, and some days are really really hard. I'm glad you have a great support system in your Hubby! P.S. - 5ohbaby looks SO MUCH LIKE YOU! She's beautiful! Thank you for being vulnerable. It's a struggle I share with you. I know it's hard and difficult to open up about but I think it's so important. It's been a stigma for too long! I've been amazed as I've been learning to fight the last two years how many people struggle with depression and who they are! Some of the strongest, most amazing ones are the people who have the hardest struggle. Thanks again. God bless you with strength for the fight! I am sorry to hear that you go through this as well. It truly is amazing how many people are weighed down bu this and "suffer in silence"
Everyone struggles with depression in some form and to some extent...it takes a lot of guts to let it all out there like you just did, and I applaud you for that. I was just recently diagnosed with clinical depression, myself...been struggling with it for the last 4-5 years and trying to excuse it as something else all that time. I do understand the reluctancy you've felt in really talking about it. Now that I have a name to put on my own stuff I still haven't been really excited to talk about it with a lot of people. (You-and your readers now, I guess-are the first that I've told about it in blogland.) Anyways... You are amazing Ashley. Just keep leaning into Jesus. We are so blessed that he will take up this cross and bear it for us. I am lifting you up in prayer now. I definitely identify with this, Ashley...! Keeping the fight is all we can do sometimes. You're so strong and amazing! Thanks so much for sharing this. I don't feel I've fought depression, but I have the feeling of not being good enough. Be it a wife, mother or just at my job as a photographer. God is the center of our lives and is what makes me realize my value and responsibility to live by exactly in His footsteps. Hugs. Have you looked into other medications? There's so many more options now med-wise and I'm on some that actually work very well with the chemical imbalance. Sadly, it's all through trial and error :/ But going to a psychologist to look at options wouldn't hurt! I havent... I know they work for so many people, and might work for me some day... but being in the baby makin years I feel like to go on and off that medication would be worse for me. I hope you have been able to find something that works for you! Coincidentally, I posted this yesterday: http://www.nonsensethings.com/2012/06/entering-thunderdome.html ...... I guess what I am trying to say is that I can relate. it sounds like you have a good handle on how to deal with it that is best for you. Have you tired CBT, i found it worked wonders for my anxiety. As with you it is still there but I know its not the end of the world. i've dealt with anxiety and depression since high school as well. so i know your pain and frustration - keep your head up! xox! Depression is real situation and happens nearly everywhere. It truly does effect many people. My father, and myself have both struggled on and off in life with depression. I am so happy you have a support system. Keep up the good fight girl. p.s. I totally would have never guessed this btw. At the creative estates you were so bubbly and sweet! You are an amazing person, wife, mother etc and absolutely gorgeous. Interesting...must be something in the air...I just wrote a post about depression yesterday! www.ernestineedna.com I felt sort of hypocritical later in the day when I was doing an internal freak out... (read that as MAJOR FREAK OUT) Thanks for sharing your heart...it is helpful for those of us that do struggle with this...that feel very alone, to hear from others that we are not alone. Thank you for being brave and posting this! I am going through this right now, only I don't have anyone to lean on because no one really understands what I'm going through, not even my husband. My daughter is the reason I keep fighting, I got pregnant with her at a not so great time in my life and I truly believe she is my angel who keeps my spirits up and gives me a reason to get out of bed in the morning! depression is so real and hard. i got lots of friends who battle it. I dealt with it some earlier in our marriage especially... after our 2nd born i had major PPD... resulted in my husband quitting his job and us moving 12 hrs back to NC to be closer to family. Im much better now but there have been some dark times. Talking abt it is good... hiding it to me just makes it worse. This was a very touch entry! I'm really proud of you for coming forth and opening up. I think depression often goes unnoticed, and that so many people suffer and never get the support or help that they need. I hope that this will help others see the light that you have seen, that your relationships with your husband, friends, and daughter are what help make it better every day. These are the kinds of entries that I love to read - ones that are totally honest and hit home. Good luck to you Ashley on your journey! Depression just plain stinks. I get the waves but not as bad as my hubby. I am his support system like your's is for you. I've tried medication but hated the side effects and just plain thought to myself, "get yourself in check, you can conquer this with diet and exercise" sometimes it works, sometimes it doesn't. And with my hubby, his is so far out of control that other things make it worse, he stops eating healthy and just lives in bed. His anxiety goes up and his addictions to things gets worse (it could be gatorade all the way to the other extremes of addiction). I feel helpless most of the time because I want to help fix him and make him better. It takes a lot of strength to be the one who is the rock (on the flip side). Props to you for sharing. Definitely not easy to bare your soul and share your innermost struggles. Thanks for being real and honest. Prayers to you, my friend! I admire your courage for posting something like this and putting yourself out there. Nobody could ever accuse you of not being genuine on your blog. That is really something to be proud of :) Isn't it amazing how supportive and encouraging the blog community is? You know that we would all be there for you at any time you need some extra support, and I know you would be there as well for a fellow blogger in need. I love you so much for this! I can feel your insecurities and fear, but your strength and beauty is what I feel the most. I too deal with depression and bipolar disorder. I understand your pain and frustrations because I've been through them myself. Thank you for sharing. There is such beauty and healing in honesty. It kinda feels like a weight lifted on ones heart when you are transparent, you know? Praying for you. Yes... honestly such a weight lifted. Wow, thank you for sharing. I admire your strength and courage to share something so honest and personal. I understand so much of where you are coming from. All throughout school and into college I dealt with depression and was always unsure of how to handle it- many ways wrong. I've had to withdraw a semester from school due to it as well as anxiety. I am on medication now that has helped but am still continuing to really see that prayer and faith are a large part of overcoming and conquering anything. Thanks for sharing... I am printing your blog out right now to leave on my husband's pillow... We have been talking a lot about depression lately, but I can't seem to get out what I want to tell him and your blog entry was along the lines that I was thinking... This will be a great conversation starter that will hopefully lead us down the right path. Thank you for opening up your heart and sharing such a personal piece. Like you I have struggled with depression. Its different for all of us, but it took a lot of courage for you to open up and talk about it. You have no idea how much your story can help others!! Hang in there!! I'm really glad I stumbled across your blog today...for helping me understand something that someone I hold very dear is struggling with. Thank you. I feel like you just walked into my brain and took my thoughts and wrote them down! You are right. Our kiddos do deserve us to be the best we can be. Thanks for the reminder. I'm saving this post and reading it weekly. Thank you for being so brave and open about it too. I can only imagine the number of people you are touching and affecting...because I am sure there are folks who may not even comment that are being affected by it. You are so brave to share this. So. Brave. Don't ever stop fighting! We all have obstacles and just by sharing this post, you are using yours to help others. That is beautiful! Adding helping you win this battle to my prayers. 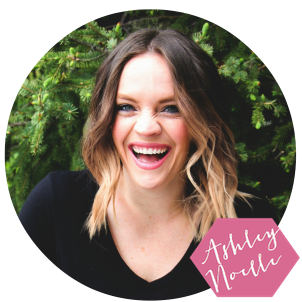 You are so courageous for writing & sharing this post, Ashley! Incidentally, the quote you mentioned is one of my favorites as well. From all the comments, it looks like your post was really helpful for others who have similar struggles. I really appreciated the fact that you were brave enough to post all of this. I recently dealt with postpartum depression and had a hard time telling anyone. I'm thankful that my husband was so supportive and I was able to pull out of it. But depression truly is hard to explain if you haven't been there. Can't thank you enough for posting this! This is beautiful! You are strong and courageous! I had to read this post again. I love you so much for writing this and sharing your words with everyone. You are a bright light of sunshine for me, I love love love this blogging community. I feel like you and are are blogging sisters from another mother. Your story rings too true in my own life, yet I haven't had the courage to share it with me readers yet. Every time I go to the keyboard to post I hesitate, thinking maybe today's the day I share my story...well you have brought me one step closer, new blog friend. I will be following along, encouraged by you and your strength and faith in God. Thank you. Ashley, I just stumbled upon this. I struggle with depression too. I've been taking medicine for it now for about 3.5 years. I thought it was getting better...and then I came to school and it came back. It's hard. And I hate it. On top of that I have a ridiculous amount of anxiety and I feel like that person with a slew of problems. I so admire you for talking about your depression (even if it was a few years ago).